For the last 30 years, our eyes have told us this truth: There is a strong consensus of opinion among CEOs that if any of Lean is to be adopted, it is solely its tools. CEOs have expressed little interest in adopting Lean as a comprehensive system of management to replace Classical Management. This is a problem that we all recognize. However, problem-solving has been remarkably weak given the imagined problem-solving expertise of “Lean thinkers.” It is clear that the various problem statements generated have not accurately described this empirical observation. Much of it has to do with a failure to understand the thinking and interests of CEOs — particularly of large publicly-traded corporations, who have long been the target of interest for Lean transformation. Example of an intangible asset. CEOs think of Lean differently than we do. We see it as a necessary way of thinking and working, for the betterment of all. Lean is a needed advancement in leadership and management practice. CEOs see Lean as an intangible asset, whether in the form of Lean tools or as a management system, that may or may not produce an income or other financial gain attached to the future sale of goods and services, or to the future sale of the company itself. We see Lean as: “How can you not do it?” CEOs see Lean as: “Why should I bother?” These are different questions that expose a huge gap between the thinking of the people who promote Lean management and the thinking of the business leaders who would adopt Lean. The gap has yet to be closed in any significant way despite decades of effort. Ownership of a company, either directly or by proxy (i.e. the hiring of professional managers compensated via stock options), confers the right to do with the property as one wishes. This includes the right to grow and improve, as well as the right to neglect, abuse, inhibit, or pervert. The rights exercised vary over time and depend primary on the anticipation of financial gain. In other words, if any aspect of Lean is adopted, it is done for the benefit of owners, not for the benefit of employees, customers, suppliers, or the community. Simply put, adopting Lean tools is seen by CEOs as the most efficient way to pursue financial gain, while adopting Lean as a management system is seen as an inefficient way to pursue financial gain — despite evidence that says otherwise. As owners, it is their right to be wrong. It is also their right to neglect, abuse, inhibit, or pervert Lean. And, as owners, they enjoy total immunity when they neglect, abuse, inhibit, or pervert of Lean. They can do what they want to their property. The end of all business activity is the sale — tangible values — the sale of products and services, or the sale (or purchase) of a business (or parts of a business). The sale, if it is to occur, must be advantageous from a pecuniary perspective. Take the case of selling a business. The owner expects future value in the form of income yielding capacity, which is normally assigned to tangible assets. Intangible assets such as brands, trademarks, or patents, may also permit computation of future income yielding capacity, though the resulting numbers are less accurate owing to various assumptions. However, other intangible assets lack physical substance, such as Lean tools or Lean management, which do not lend themselves to computation of income yielding capacity. Intangible assets that owners do not understand offer no advantage with respect to generating future income. This is why changes in leaders or changes in owners is so detrimental to Lean. A brilliant example of the reversal of a beautiful Lean transformation was the sale of The Wiremold Company. Some business leaders say, “Employees are our greatest asset.” What they should say, to be clear, is “Employees are our greatest intangible asset.” Employees are an intangible asset because owners do not know what employees know or the work that they do. Unlike capital equipment purchased to yield a future income, employees are not capitalizable (or depreciable), and so they are not understood by owners as a tangible asset. When someone buys a company, they do not pay for each employee (as property). They pay for employees’ knowledge (an intangible asset) and assume responsibility for the payroll. But because owners do not know what employees know, employees have almost no value to the business beyond their financial compensation (wages and benefits). Under such conditions, employees are fired and hired as determined by business exigencies, making it impossible for Lean management to thrive in any form other than the use of its tools. At best, CEOs view the Lean management system as having possible future value. But because this is probabilistic, Lean must compete against other types of investment that are attractive to owners and which have a much greater probability of yielding future income — income streams that are either known or assumed to be higher than what Lean management can generate. As an intangible asset, what is Lean worth? What is the value of Lean to business owners if it cannot be capitalized? 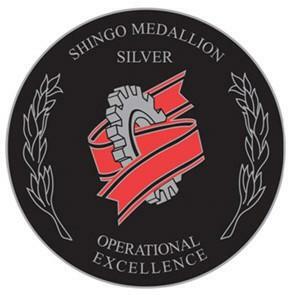 What is a Shingo Prize worth? How do you value it? In the Wiremold example (a 1999 Shingo Prize winner for Excellence in Manufacturing), the value of Lean to the new owner was clearly zero. A board of directors’ view of the worth of a CEO is how skillfully they can manipulate the vast array of tangible assets, as well as selected intangible assets that can be turned into future income streams such as brands, trademarks, and patents. Skillful manipulation of income yielding tangible assets and intangible assets counts for far more than skillful human interaction through enlightened leadership or managerial abilities. This explains why, despite massive expenditures on training and development, corporate leadership functions (and will continue to function) at an amateur level in terms of human relations — but always at a professional level in terms of asset relations. Despite CEOs indifference to Lean, the antidote the Lean movement always turns to is: “Do more of the same” — publish more success stories, have more conferences with speakers presenting their successes, publish more how-to-succeed-with-Lean books, post more success story videos online, and so on. This post, and other recent writings of mine, are intended to provide Lean advocates with much deeper understanding of the problem and how CEOs think, and to motivate them to consider alternative means and methods for advancing Lean management. Hello Bob, thanks for your views on intangible assets, including the Shingo prize. I think it is important to understand that lean is a financial asset and there is evidence that show it is useful and that employees are an intangible asset. CEOs should try and understand that lean can be used in different management systems and that it should be advanced in companies to better profits and processes. Hi Katie – Unfortunately, CEOs don’t see Lean as a financial asset — despite great efforts by many to claim it as such (including its greatest proponents, Womack and Jones, whose subtitle to their book Lean Thinking was “Banish Waste and Create Wealth in Your Corporation”). Lean is not seen as a financial asset because business is about more than just money. It also involves important things such as power, prestige, and privilege, which CEOs cherish and are loathe to see compromised by Lean (whether in fact or in one’s imagination).